February seems to be Get Caught Smoking Pot month. At least 4 of my client schools contacted me this month to process an “incident” with marijuana. What’s interesting is that none of these episodes took place on school grounds or during school events. The actors were all male and all young – mostly small groups of 8th grade boys. The parents are freaking, calling the school to say they caught their sons getting high, looking for honest help and direction. Other parents are calling the school afraid that these boys will infect their children. This all jives with my classroom experience. I happen to be at an all girls school right now and I was showing them the latest data about marijuana use. 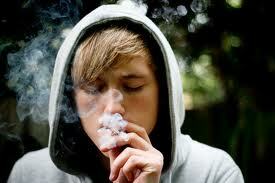 According to Monitoring The Future, 27.5 percent of 10th graders have used marijuana in the past year. We decided today in class that the particular group I was teaching falls well below that number, as the girls could only think of a handful of peers in their grade who used pot. I was celebrating how healthy they seem and one girl said, “duh, we’re girls, if you went to the boys school it would be a different story.” Girls have been telling me for a while now that lots of boys are potheads and boys do indeed report more marijuana use than girls in recent studies. We can point to lots of things. 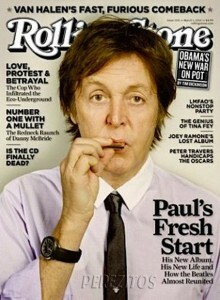 Rap and Reggae music, Michael Phelps, Paul McCartney (at least he quit toking), politicians admitting to marijuana use, the national conversation about legalization and medicinal marijuana, Pineapple Express – the list could go on endlessly, and all of these things contribute to overall attitude. I hear many adults casually comparing marijuana to alcohol. Getting drunk every time you drank would not be considered healthy or safe – since the goal of recreational marijuana use is always impairment, I don’t equate it to social drinking. 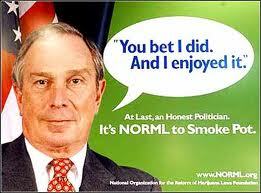 I have my own theory…1978 was the highest ever recorded year for adolescent marijuana use in the history of time. Where are those people now? Parenting middle and high school age children. This doesn’t mean today’s parents are doing bong hits with their kids or that they even still smoke pot. It just means kids are perceptive and intuitive – think about that jumpy limbic system inside of them and how keen they are to understand and interpret their worlds. Youngsters have done the math; they know that plenty of adults smoked weed in the psychedelic seventies and went on to have fulfilling lives. They don’t have this kind of model for crack or heroin. So, teens just aren’t that afraid of pot and when fear goes down, use goes up. Getting back to boys…I wish I knew more. I enjoy the company of boys immensely in class and they sometimes even react more naturally than girls to my seminar, as that impulse control isn’t always quite there. Unfortunately, boys don’t take as many emotional chances in classroom discussion as girls do, so I end up not knowing them as well. It’s delightful to see so many girls and young women go to college and start successful careers, but why is this happening to a lesser degree for American males? And what kind of men are these smart, happening (heterosexual) women going to have as potential mates? If boys are struggling in the classroom and have higher rates of learning differences and attention disorders all this pot smoking is bound to compound or eclipse the original problems. I have to fix my face when people claim that marijuana isn’t addictive – Students tell me this every day when I ask them what they know about marijuana. It might be the most pernicious myth out there right now. An unemployed adult who smokes daily and lives in their parents’ basement isn’t addicted? For a 15 year old who lacks a clear set of coping/social skills, discovering marijuana can be the beginning of the end. These days, puberty begins earlier and adulthood starts later. I have never seen drugs speed up or enhance maturity, so marijuana will now elongate a phase that already takes too long! As usual, I have many more questions than answers, but would love to hear thoughts on boys from readers. Male readers are heartily invited to comment! It also strikes me, from your post and from my own experience, that some of these kids seem to want to get caught. A couple of boys in my school were suspended for smoking pot on the school bus (!). This is either incredibly stupid or an attempt to get attention. I know kids actually want and need boundaries and structure from the adults in their lives; many this is them asking for it. P.S. I’m so glad someone else noticed that Rolling Stone cover. (He’s actually blowing on a tiny harmonica, I think.) I love Sir Paul, and I loved that interview, but Rolling Stone has its own agenda….